I’ve been thinking about this post for a while. It’s nearly five months since I moved from Blogger to WordPress and I’ve been coming to some conclusions over that time. There’s quite a few “tecchy” WordPress v Blogger articles out there when you start looking. This post isn’t at all tecchy, it’s written from the point of view of someone who just wants to write! I made the move from Blogger for a variety of reasons, not all of them rational. Comments. The biggest motivator for the move. I was becoming increasingly irritated by the odious spam comments I was getting on Blogger (just how many artificial or enhanced sexual organs can one woman need??) and, before you suggest it, I flippin’ hate the Captcha verification thingy and would never impose it on my readers! Inserting Photographs. I was frustrated with the limitations for laying out pictures on Blogger. There are lots of occasions when I’ve wanted to have to photos side by side, or staggered, or just looking a bit fancier. Layout Envy. The LSH had carefully compared WordPress and Blogger and had opted for WordPress. I liked the layout (Nishita) he chose for his WordPress blog and thought I would have access to a more flexible and more appealing appearance if I made the change. Ads. The expression “monetise the blog” crops up in blogging circles from time to time. I got the idea that WordPress was going to be better for doing this than Blogger – don’t ask me where I got that notion from, I haven’t a clue. My Friends Were All Doing It. A lot of bloggers I really like use WordPress. What was I missing out on? I wanted to find out. And yeah, if they all jumped off a cliff, I’d probably want to find out what that’s like, too. Layout Envy? Frustration, more like it. I can’t embed videos in my posts unless I pay for an upgrade. I can put them in via youtube. It’s ok, but it’s not the same. I can’t embed the code provided by Everytrail to display a map marking a new route I’ve done, presumably for the same reason I can’t embed video. That’s why I haven’t been posting maps recently. I can choose from a wide variety of “themes” for my blog’s layout. Is this a con? Well, yeah. I have to go through a whole pile of themes to see what they look like before I choose one. It’s like trying on clothes – something that very quickly bores me. Once I’ve chosen my theme, I can’t tweak it, unless I decide to don my very rusty programmer’s hat and start coding in html. I’d love to have the title of each post in bigger, bolder print. I can’t. I’d like a different colour scheme. Nishita offers two choices – charcoal on white or white on charcoal. If I want to change, I’ll have to choose a different theme. Yawn. Or I can select text and change colour one section at a time. Or I can pay for an upgrade. Ads. How dumb was I. Monetising is much, much easier on Blogger, although rather pointless in my case – this blog is worth a princely $162 per year (source freewebsitereport.org.) I won’t be getting rich on it any time soon! Anyway, I digress… on Blogger, you just decide to have some ads. That’s it. On WordPress, I cannot have ads unless I have 30,000 or more pageviews per month (I wish!) but THEY can decide to put ads on my blog that will earn THEM money. Unless (and I’m seeing a pattern emerging here) I pay for an upgrade. Community. The biggest pro (and it’s a huge one) is the WordPress community. They really work on trying to get users to look at each other’s stuff. There’s a list of suggestions displayed in my WordPress reader – I’ve found some really good blogs that way. Then there’s the “Freshly Pressed” feature, where they recommend a few posts each day. TailsFromProvence has never been Freshly Pressed (sniff) but this is a really good idea (Hello, Blogger, something you might take on board!). Commenting. Several computer savvy, intelligent friends from back home struggled to comment on my Blogger blog. They’ve all said that it’s much easier to comment on the WordPress blog. Better still, all that revolting spam is GONE!!! Yes, I get a little, but maybe two or three a week. I got fifteen in one EVENING on the old blog. iPhone App. An unexpected pro. The WordPress iPhone app is excellent. A superb little addition to my collection of apps – I can do everything from my phone that I can do from my laptop. Last time I checked, the Blogger app still only worked 100% for bloggers in the USA. That’s a lot of cons and only three pros. I’m sure some people are wondering if I regret moving. Truthfully, yes I do, but I have found a whole pile of new followers and new followees via WordPress which helps to compensate for the weaknesses here. Would I change back? I’m tempted. I feel very restricted by some of the limitations here. Given that I own the domain TailsFromProvence.com, I would be able to do it without affecting my readers. But I would lose the WordPress community, which I love. Maybe I will splash out and upgrade for video and a full range of font/colour options within my chosen theme. Would I switch to WordPress.org and self-host? At the moment, no. It strikes me as being a whole pile of extra work, with little extra benefits PLUS the loss of the (to me) biggest WordPress advantage – the community. If you decided to self-host, that’s it, you’re on your own. While we’re on the subject of blogging and such, what do people think of Bloglovin’? 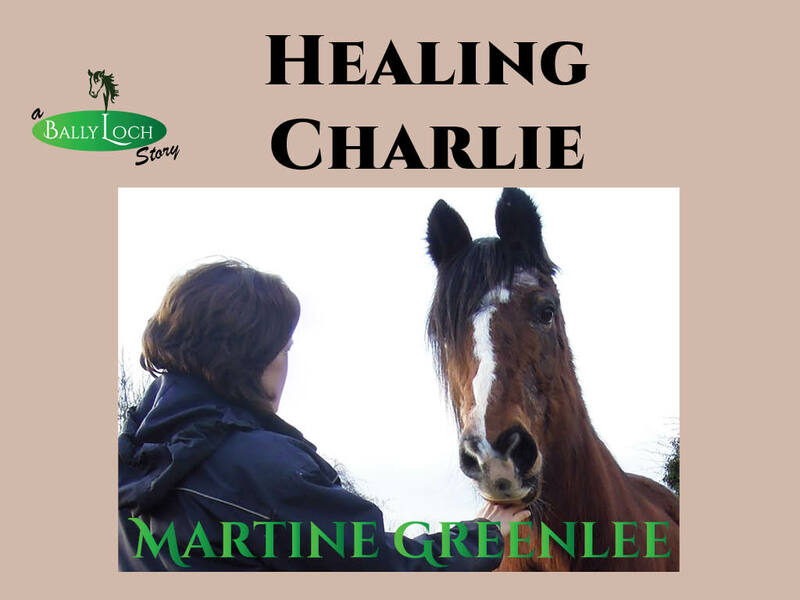 My library of horse blogs is kept there – I thought it would be a nice clean way of splitting horsey and non-horsey stuff. I find commenting on other blogs quite kludgey, and in some cases just plain buggy – there’s a few blogs where I can’t comment from within Bloglovin at all. I wish it would allow easier interaction between users, too. Wouldn’t it be nice to be able to do a little private-messaging, or recommending posts to friends? I was still thinking about this since I hit the “Publish” button and I remembered another important reason why I thought the move would be good. I really like the WordPress “Categories” ability. I like giving readers the option of only looking at Food posts, or Horse posts or whatever. That’s not so easy in Blogger. Never tried word press. Seems there’s good and bad on each site. I like blogger and don’t get spam anymore since I changed the settings around. The only thing I find hard to comment on is Google + since they want your full name and I don’t want to give it to the world. I find it hard to comment on some WP blogs from my iPad because I have to put three addresses/names in before I can comment. I’m not great with tetchy stuff so is tick with blogger because I know it. I like WordPress for my poetry — but I don’t post my regular blog there for all your “con” reasons. I do like the community on WordPress but I love my blogger friends too. I have trouble commenting on your wordpress blog. I am not usually signed in (haven’t written poetry in ages), it asks me to do that, and then it loses my comment. Its very frustrating. Like Lori, I don’t accept anonymous comments on blogger and don’t get any spam. Ah I understand Allison’s problem a little better so… you enter the comment, it asks you to log in and then loses your comment…. this happens to me sometimes when I’m using Bloglovin, yours is one of the blogs I have problems with! If you don’t accept ann. Comments on blogger, you get no spam. My old blog over on blogger continued to get spam (and yes, anon commenting was not allowed) for a week after I moved here, then BANG it was all gone! EVen when comments go into a spam folder you still have to check it every so often. It’s much easier to do when there’s only two or three a week. I will add a bit to some of your frustrations, because I have used all three platforms. Currently, I’m on self hosted wordpress. Any fancy layout has been a theme (carefully chosen) and then usually edited via html/css. Mine is heavily edited, others less so. I would say that WordPress has a lot more theme options than blogspot. For commenting and subscribers, I think wordpress.com is the easiest of them all. I have the hardest time leaving comments on blogspot blogs, because it wants my blogspot blog address (which I don’t use anymore). It’s strange that Allison has such trouble commenting here/ I do find WP the easiest for commenting too. I try to leave comments on blogspot blogs using my WP OpenId, sometimes it’s a little flakey and I have to submit it again – I don’t change anything but it always works second time. And yeah, I realise monetisation is not going to provide for my retirement!! Oh, and I think it is more difficult on WordPress to follow up with comments on a post that strikes you as particularly interesting. There are too many steps. With Blogger, it is just a click. I tried WordPress, but I never published from there. I just found it too techy. Blogger is easier to use. Blogger used to have a daily blog to promote others blogs, but I am not sure what happened to that. I also found Blogger easy to personalize. The spam comments where driving me crazy, but I found that if I have to approve the comments before posting, I have only gotten very few spam comments asking for approval. I think I am on BlogLuvin, but I don’t really use it. I just read my blogs through the Blogger reader. It would be nice for Blogger to have private messaging, sometimes I would like to share things with readers who have followed me for a long time and not have just private things out on the web for just anyone. I have no intention of monetizing. However. one can’t help but wonder about one’s street value. I checked. $162 per year beats “Not enough Traffic data to process estimates.” Crestfallen? Over-sensitive? Moi? Sorry, I shouldn’t be laughing! I’ve set up WordPress blogs for others, free and paid, but ultimately chose Blogger for myself. I know a bit of HTML so I got a custom template and then further customized it myself from there, and have (touch wood) had almost zero spam comments. I’m a Google girl though, I use every Google product out there and like things like how my phone automatically syncs with my blog so that all of the photos I took at the barn that day are instantly available by the time I sit down at my PC to write. If my DSLR lens wasn’t broken, though, that might not be as big of a selling point. Anyway, when I was on Blogger, they only offered full integration with phones or tablets in the US – not much use to me here – and I was really impressed with the iPhone app for WordPress. And thanks for your last comment! I don’t think I can do much about the way it’s presented on your phone, that’s down to their app that I like so much!